Potatoes are so versatile. They can make a million and one different things! That’s why growing your own potatoes are a great idea. Potatoes are very filling and can be made into so many different things that you won’t even realize you’re having potatoes for dinner every night. 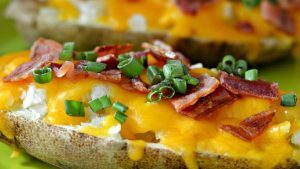 If you’re looking for some awesome ideas about how to use your potatoes, look no further. Here are 6 delicious things to make from your own potatoes. Homemade fries are so much better than fast food fries. They just are! Maybe it’s because you can control the amount of salt that goes on them, or maybe it’s because you can make them into thicker slices. Make thick cut, chunky fries or thin fries. 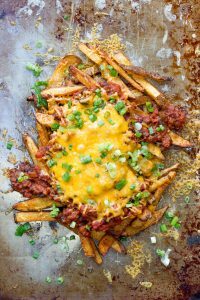 Add some cheese and chili to make the ultimate plate of fries. Or simply add some olive oil and garlic to have with some steak. Mashed potatoes are the so filling and so tasty. All you need to do is mash up some potatoes, it’s pretty self explanatory. Add some milk to make the potatoes creamy. 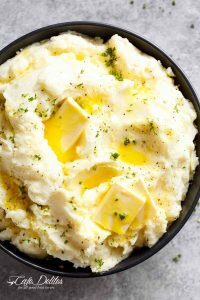 Throw in some pads of butter to really give your mashed potatoes some flavor. Salt and pepper your mashed potatoes to taste. This is a dish that everyone can have a generous portion of, there’s always plenty to go around. It’s exactly what it sounds like. Bake your potatoes then cut them in half. Scoop out the middle and mix it with ranch or Sriracha. Then put the new and improved filling back into the potato boats. Cover the entire thing with cheese and bake it again. It’s twice baked, so it’s twice as good. Add some bacon on top, you won’t be sorry. Potato soup is a comfort food. 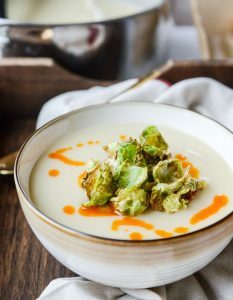 This is a perfect dish for a cold and stormy night, it warms the soul. Put a drizzle of sour cream on top of your soup with some cheddar cheese and bacon bits. Green onions give potato soup a zing and a burst of flavor. It’ll warm you right up. Tons of mayo and lots of potatoes, how can this recipe go wrong? Potato salad is an American classic that goes great with any barbecue. It’s a great side for hamburgers, hot dogs, or steaks. Bring some potato salad on a picnic for everyone to share. 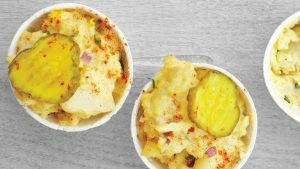 Let everyone get a giant scoop of potato salad to help them get into the Summer mood. This is probably one of the simplest things you can do with a potato. Just chop one up, and put it on a cookie sheet to roast. Add some seasonings like salt, pepper, garlic, or parsley. Drizzle the potatoes with olive oil and stick them in the oven. 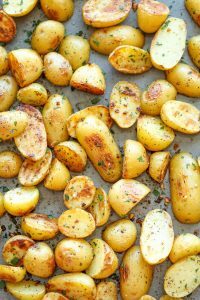 Roasted potatoes are a great side to any dish, or just for a snack if you’re craving them. Potatoes are so versatile. This list doesn’t even come close to all the things you can make with potatoes. There are also a lot of desserts you can make with potatoes as well. 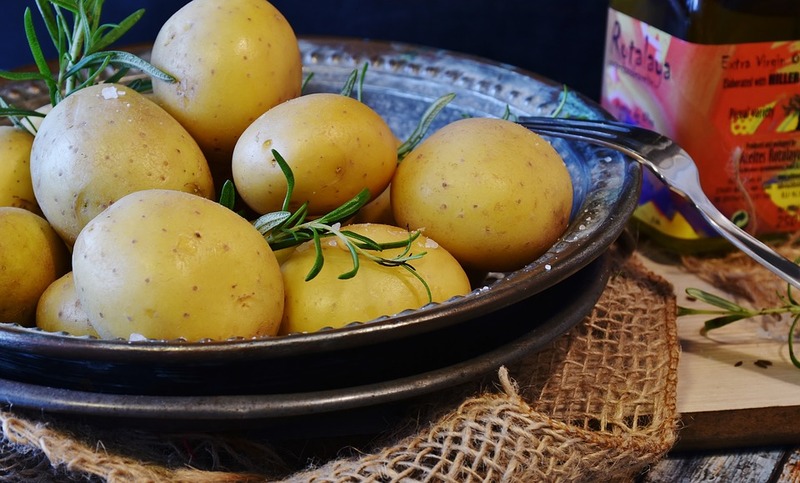 Growing your own potatoes means you’ll have an abundance of them, it’s time to get creative and start trying a bunch of different recipes. Go ahead and potato it up.